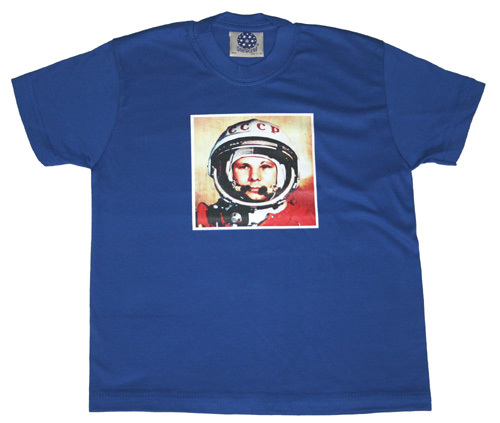 "Yuri Gagarin" exclusive Spacekids royal blue short-sleeved t-shirt - spacekids - space toys, dressing up costumes, kids spacesuits, astronaut food, cool space stuff! A Spacekids exclusive! A fab royal blue short sleeved t-shirt with photographic transfer print. This t-shirt features the iconic image of Russian cosmonaut, Yuri Gagarin, the first man in space. Every space enthusiast will love this design.